Added 9/22/2006 I like the designs in the Leijicerse, even if I haven't spent too much time watching the shows. There are a couple of nteresting things about this cel; the first is that there is what seemed ti be a completely pointless blank cel with the cel number on it (and some paint residue); this kept the actual image layer clean, but seemed pointless in terms of production. 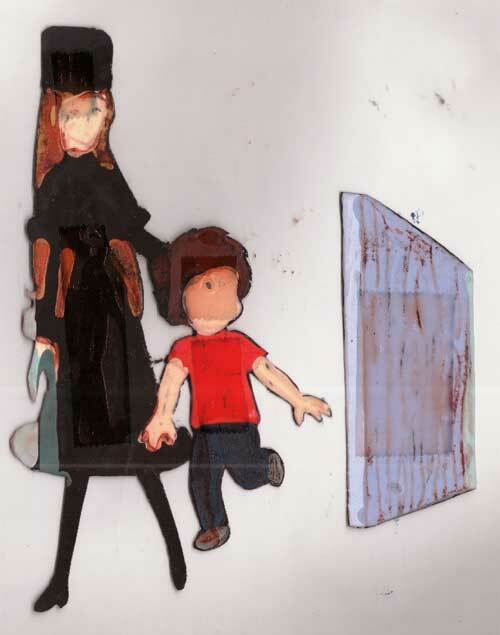 Then I noticed the second interesting thing; the images on the cel are cut out and taped on. 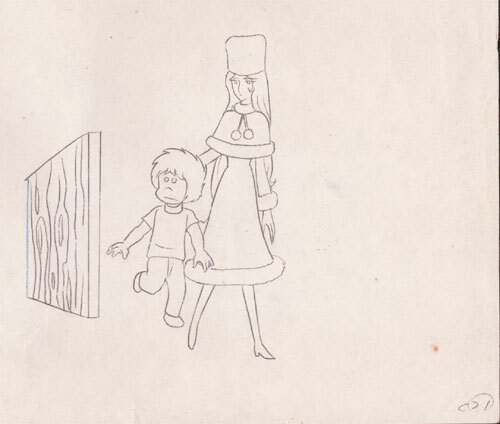 The second sketch image on this page shows the back of the cel; you can see the tape. The characters are one piece, the door is another. It's possible there was paint spilled on the back of the cel; look at Maetel's hand; there is a wrong paint color slashing up and down. I suppose it's possible it would be easier to cut out the images and reapply them rather than making a new cel, but I'd appreciate opinions on it.